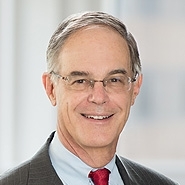 Partner Greg Diskant was selected as The American Lawyer’s ‘Litigator of the Week’ for securing the reversal in the Federal Circuit of a $593 million jury verdict in a case involving coronary stents. The court determined that the U.S. district judge who oversaw the case adopted a faulty claim construction. Under the proper claim construction, the Court concluded, no reasonable jury could find that our client had infringed.